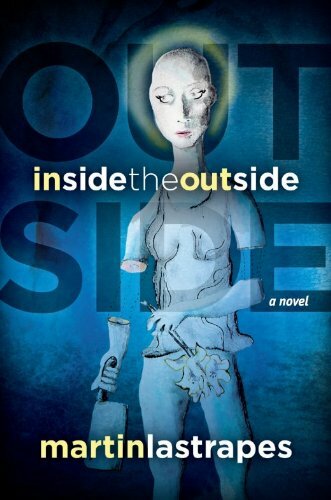 Inside the Outside is the debut novel of Martin Lastrapes. By the time Timber Marlow is fifteen years old, she has already killed three men. Despite the bloody and violent nature of their deaths, Timber is hardly a murderer. She has lived her entire life as a cannibal within a cult tucked away in the San Bernardino Mountains called the Divinity of Feminine Reproach. The Divinity keeps itself isolated from the Outside, which is the mainstream society beyond its invisible borders. When the opportunity presents itself, Timber escapes into the Outside, bearing witness to some dark and unsettling truths about the world around her and the integral role she plays in it. But no matter how long she stays away, Timber finds out the past isn't as far away as she thinks it is. In this debut novel, laced with scenes of horrific violence and uplifting humanity, Martin Lastrapes has written a one-of-a-kind story about love, friendship, sacrifice and cannibalism. I loved Inside the Outside. Loved it. I classify Inside the Outside with books such as The Girl with the Dragon Tattoo and Patrick Süskind's Perfume: The Story of a Murderer - books that may have violent content or a disturbing premise but appeal to a much wider audience. I was able to enter the world Lastrapes created inside the Divinity cult - and later on the Outside - with such ease. There was fear, love, suspense, happiness, tragedy. I was completely captivated by Inside the Outside, and my mind is still within those pages. I highly recommend Inside the Outside , and I would love the opportunity to give one of you a Kindle edition (which can also be read on any Kindle app (PC, phone, tablet) or the new browser-based Amazon cloud reader). If you are interested in reading Inside the Outside, leave me a comment on this post. I'll leave the giveaway open through Saturday (August 20). Commenting on this post is acceptance of my contest policy. Don't forget Martin Lastrapes is also giving away 3 signed copies on GoodReads here. OH wow. Wow what an interesting topic. It is appealing in so many ways. Great review. Thanks for commenting even though you aren't entering! It was a very interesting read and quite unlike what I expected. I'm a new follower, thanks for stopping by, hope you participate in Thrill Week. I noticed the giveaway after I downloaded to my Kindle. Great review. Hi Marce! I'm sorry you didn't see the giveaway before you bought it. I hope you enjoy Inside the Outside as much as I did!